It’s that time of year when books are arriving at an astonishing rate, both proofs from publishers of titles to be published early next year and new titles that have caught my eye and which I’ve ordered from the wholesaler. Who knows when I’ll get through everything? I entertain fantasies of disappearing to a cottage in the wilds with little save a pile of books and my laptop but I can’t see that happening. Anyway, this is an edited (very edited!) selection of the books that I’m most looking forward to getting stuck into and which you might also find interesting. 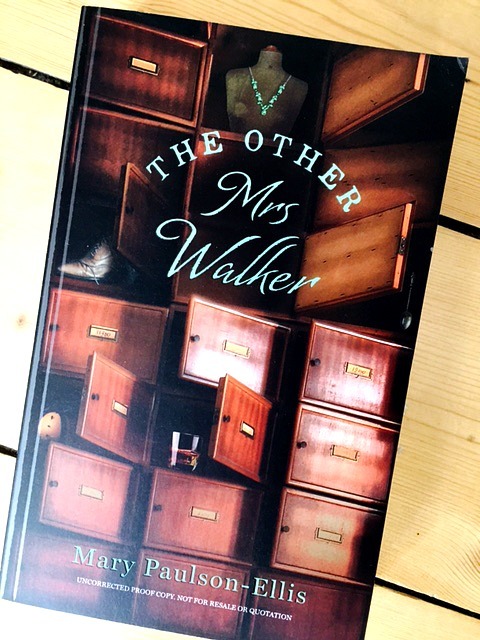 The Other Mrs Walker by Mary Paulson-Ellis is due our next March from Mantle – I’ll review it properly nearer to publication. From the blurb: “An old lady dies alone and unheeded in a cold Edinburgh flat, on a snowy Christmas night. A faded emerald dress hangs in her wardrobe; a spilt glass of whisky pools on the carpet. A few days later, a middle-aged woman arrives back in the city of her birth, her future uncertain, her past in tatters. But what Margaret Penny cannot yet know is that in investigating the death of one friendless old lady, her own life will become enriched beyond measure.” Sounds intriguing, doesn’t it? Sort of Kate Morton or Erin Kelly with a smattering of Maggie O’Farrell and it’s set in Edinburgh so definitely one for me. Also set in Edinburgh is Louise Millar’s City of Strangers. “Grace Scott returns from her honeymoon with her husband, Mac, to find a burglar lying dead in their new Edinburgh flat.” The police say that it was an accident and that he broke in to steal their wedding presents but three months laters, the dead man still hasn’t been identified and then Grace finds a note that gives her a clue. I’ve just noticed from the back of this proof that it was published last week so I’ll crack on and review it as soon as possible. I think it might be a good choice for our Glenogle & Bell crime fiction subscribers when the paperback comes out next year. 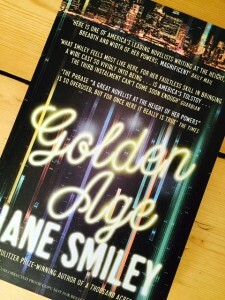 Also out last week was Golden Age by Pullitzer Prize winner Jane Smiley, the final title in the Last Hundred Years trilogy (the previous titles were Some Luck and Early Warning). I have to confess that although I have all three of these books and love Jane Smiley’s writing, they are hefty tomes and have all been published within little more than a year and at present they’re waiting, slightly reproachfully on the shelf and I fear that I’ll never get to them. I’m not sure than I’m a fan of this sort of speedy pubishling although I’m sure there’s a perfectly valid reason and that many readers are delighted. I’m also in awe at her work ethic. 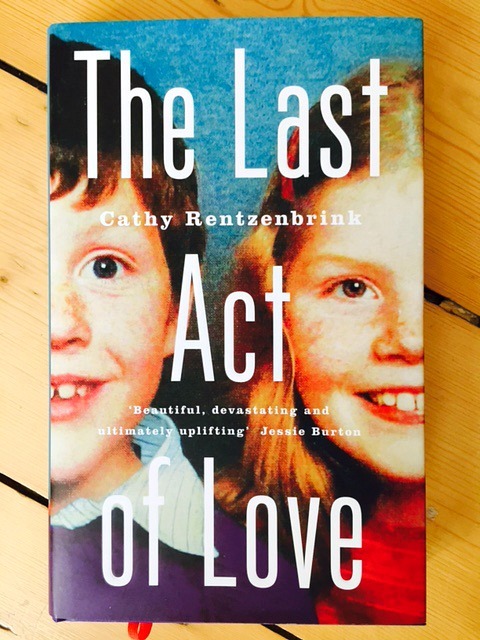 One of my favourite reps gave me a signed copy of Cathy Rentzenbrink‘s memoir The Last Act of Love. I was delighted, although slightly ashamed as absolutely everyone has been raving about this book over the summer and I really should have got round to it by now. It’s the story of the accident that left the author’s brother in a persistent vegetative state and how the family had to make a heart-breaking decision eight years later. It sounds deeply depressing but I’m told that it’s ultimately an uplifting and positive book and I’m planning an evening with it soon when I’m sure that I’ll join the chorus of those praising it. The lovely Sam Eades, publicist extraordinaire and now commissioning editor, at Orion sent me a copy of The Daughter’s Secret by Eva Holland and it’s at the top of my to be read pile. 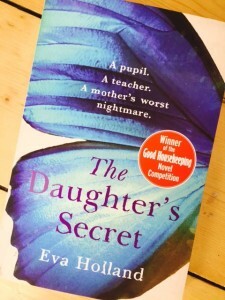 Winner of the 2014 Good Housekeeping novel competition, it’s the story of a 15 year old girl who ran away with her teacher, told from the point of view of her mother who has to cope with one of every parent’s nightmares. The crux of the book is what happens when they receive a phone call to say that the former teacher is due to be released from prison in a few days, years before his expected release date. 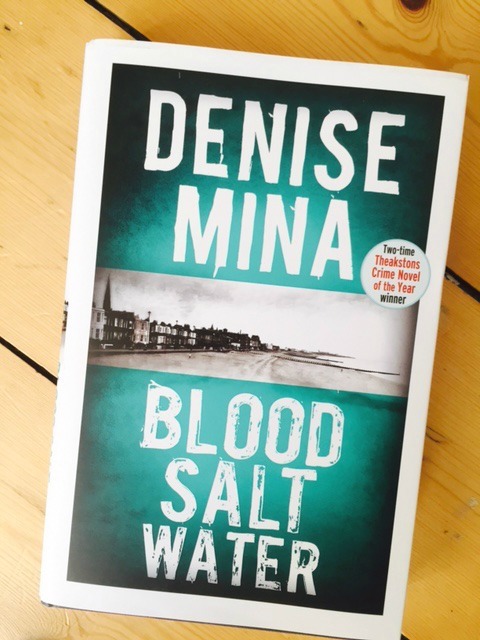 Sounds fascinating it’s out now if that’s whetted your appetite – I’ll try to post a proper review once I’ve read it. 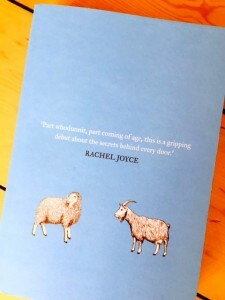 However, the highlight of my new arrivals pile is The Trouble With Goats and Sheep by Joanna Cannon. 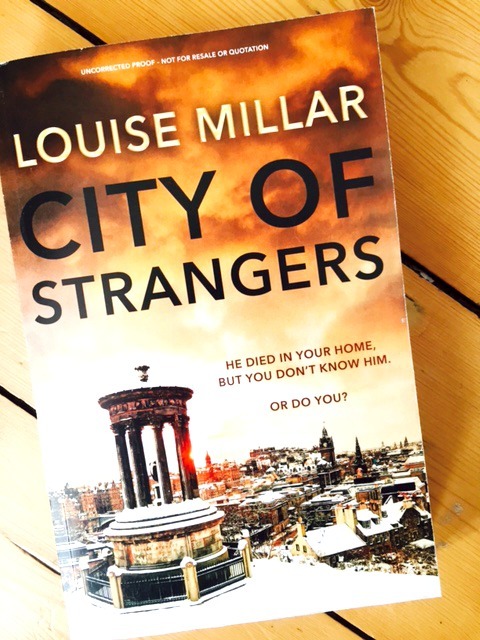 I’ve ‘known’ Jo (in a Facebook friend way) for a long time, well before she even finished this book, never mind acquired and agent and a book deal with The Borough Press who are putting a huge amount of effort behind this book, due out in January. 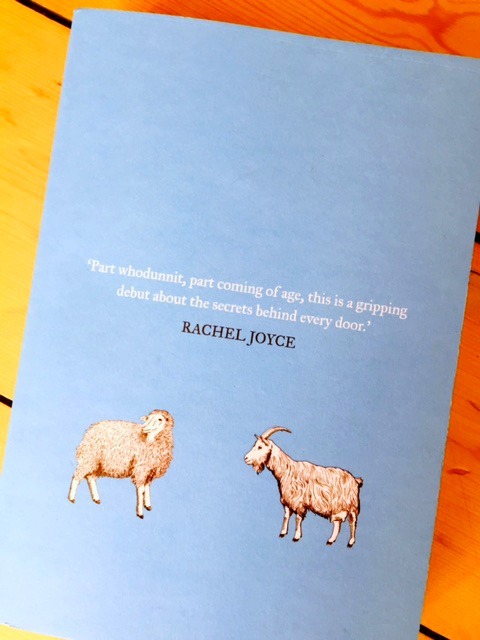 Rachel Joyce is quoted on the proof’s cover: “Part whodunnit, part coming of age, this is a gripping debut about the secrets behind every door.” Although I’m so keen to read this, I’m going to save it for a day when I can close the door on the family (unless they’re bearing cups of tea) and stay under the duvet to savour it. I’m so pleased for Jo and I hope this is a massive success. 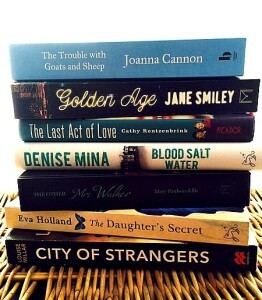 This entry was posted in Reading, Shelf Notes and tagged Cathy Rentzenbrink, crime fiction, Denise Mina, Eva Holland, Jane Smiley, Joanna Cannon, Louise Millar, Mary Paulson-Ellis, memoir. Bookmark the permalink.